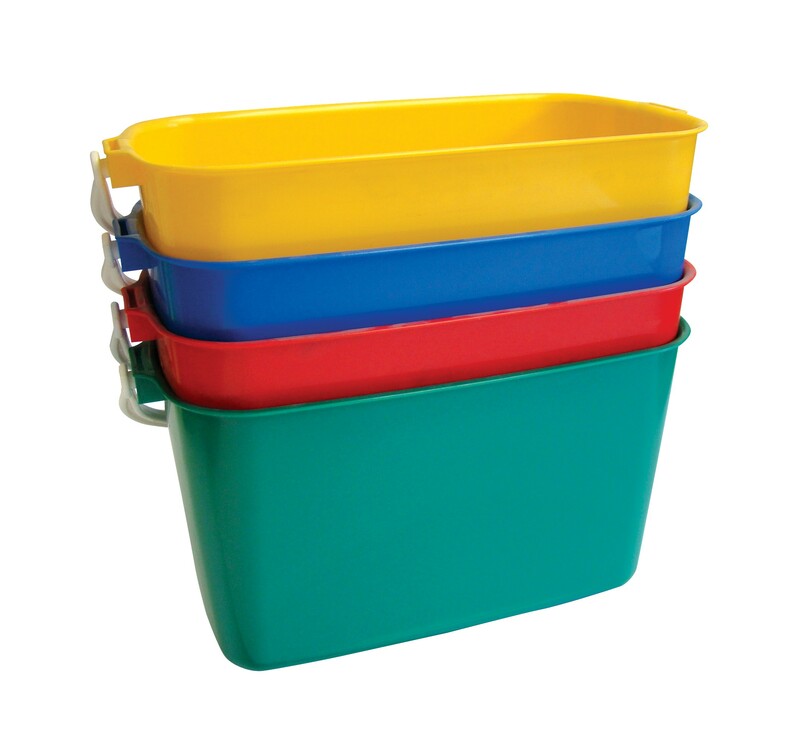 9ltr Rectangular Colour Coded Bucket are suitable for multiple tasks. Made from tough ABS plastic these buckets will not shatter, and being fully colour coded can be used as part of a colour coded cleaning system. Ideal for use as a window cleaners bucket or for use with squeegee floor washers, as the buckets oblong design allows easy access. Suitable for use with a SYR Squeegee Floor Washers. 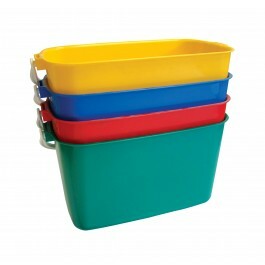 Available in Blue, Green, Red and Yellow - Can be used as part of a colour coded cleaning system. Full case pack size - 5 buckets.